The Bozak Horde DLC has launched for Dying Light. 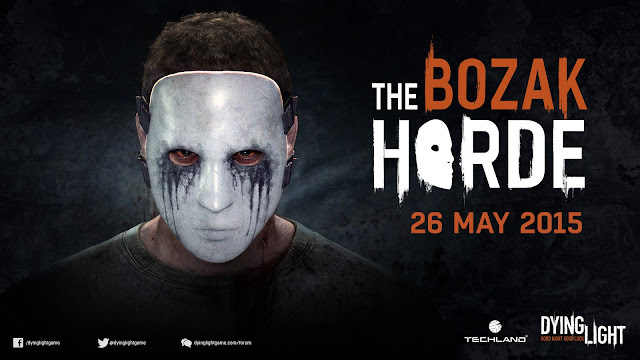 This brand-new game mode lets players enter the Harran Stadium and take on a series of twisted challenges laid out by a deeply-troubled psychopath named Bozak. Designed with co-op gameplay in mind, this major addition to the world of Dying Light offers a hefty challenge even for the most experienced teams of four. Brand New Game Mode – Go alone or join your friends and beat Bozak’s game with the highest score. Thanks to the newly introduced leaderboards, you can now compete with others and become the very best Dying Light player in the world. New Location – Travel to the heart of Sector 0, the infamous Harran Stadium, where the government lost their first battle against the virus. Game-Changing New Weapon – Defeat the horde and gain access to the ultimate stealth weapon - a compound hunting bow. Take on additional objectives to get electric, incendiary, and exploding arrows. The DLC also includes new achievements for the Xbox One and trophies for the PS4.